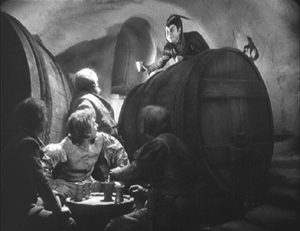 Der Gang in die Nacht (The Dark Road, 1921). 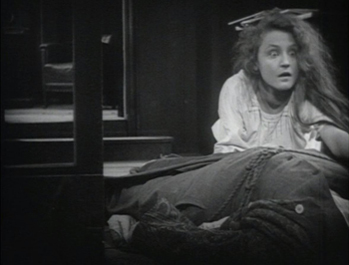 For many decades, The Last Laugh (Der Letze Mann,1924) was the F. W. Murnau film. 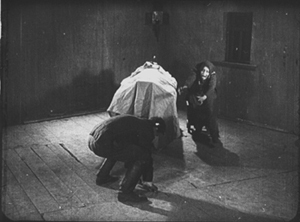 If you were a film buff in the fifties or sixties, that staple of film societies and college courses was probably the first Murnau you saw. 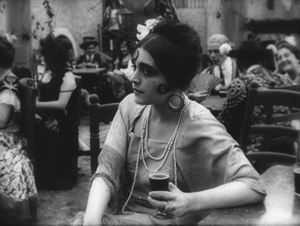 Eventually you got to those French favorites, Sunrise (1927) and Tabu (1931). 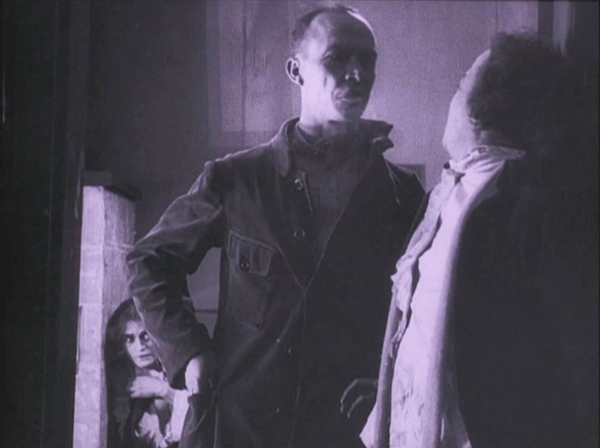 Nosferatu (1922) and Faust (19226) came along in there somewhere. 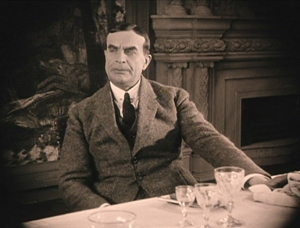 Tartuffe (1926), great as it is, has always seemed a specialized taste. 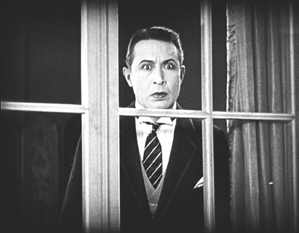 Today, I think, Nosferatu is probably the one everyone sees first. It fits the modern taste for horror movies, and it is genuinely scary. 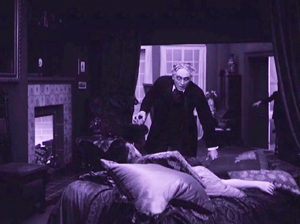 It popped up in music videos, got remade by Herzog, and will be forever remembered for the vampire’s spindly, ratlike silhouette and the wholly fitting name of the performer, Max Schreck. 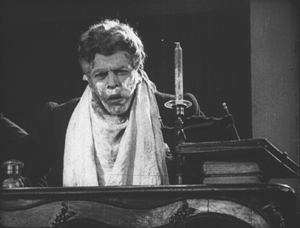 Eventually Murnau aficionados caught up with lesser-known Burning Soil (Der brennende Acker, 1922), Phantom (1922), and The Finances of the Grand Duke (Die Finanzen des Grossherzogs, 1923), the latter two available on good DVD versions. 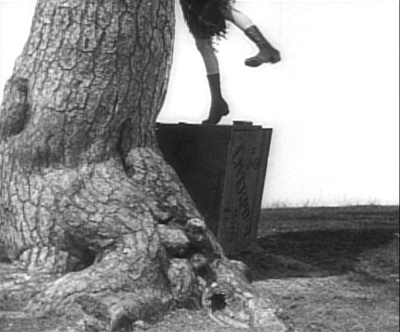 But what about Murnau’s very earliest films? 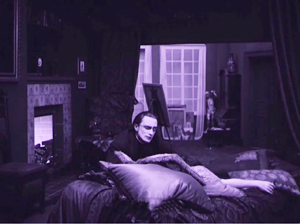 Of the nine films he made before Nosferatu, only two survive more or less complete. 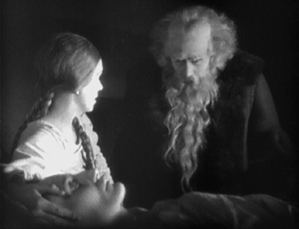 They circulated in unsatisfactory condition for many years, but Schloss Vogelöd (The Haunted Castle, 1921), which Murnau made just before Nosferatu, eventually emerged in a splendid restoration based on original negative material. 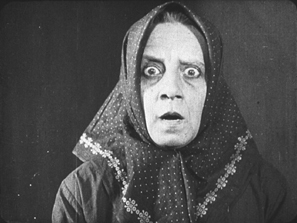 Now we have a digital restoration of Murnau’s earliest surviving film, his seventh: Der Gang in die Nacht (The Dark Road, or “Path into Darkness,” 1921). And what a restoration it is! 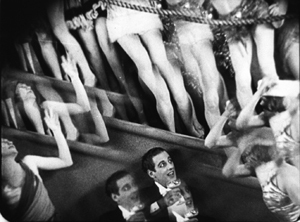 The Munich Film Museum’s team has created one of the most beautiful editions of a silent film I’ve ever seen. 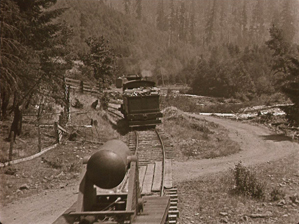 They started with four reels of camera negative, then carefully integrated material from other sources. 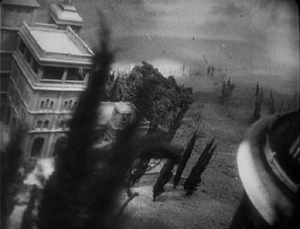 Thanks to digital manipulation, I couldn’t tell where the alien footage was. 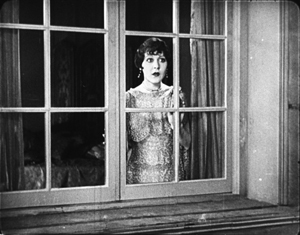 You look at these shots and realize that most versions of silent films are deeply unfaithful to what early audiences saw. 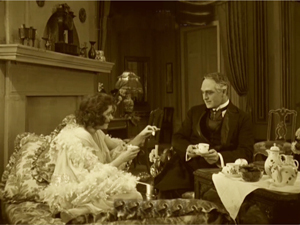 Compare a shot from the lamentable YouTube bootleg and a shot from this version. The smallness of the YouTube image here improves it; blow it up on a big monitor and it goes horribly blotchy. 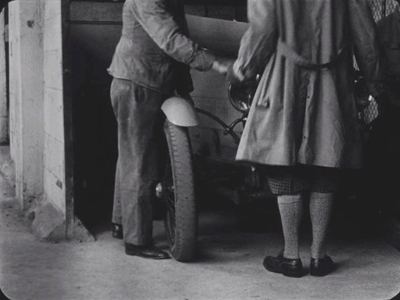 In those days, the camera negative was usually the printing negative, so what was recorded got onto the screen. 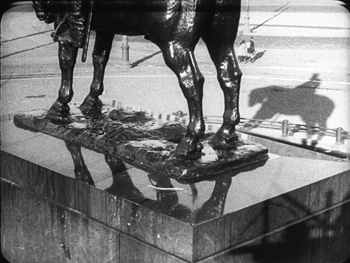 The new Munich restoration allows you to see everything in the frame, with a marvelous translucence and density of detail. It will project fine big. 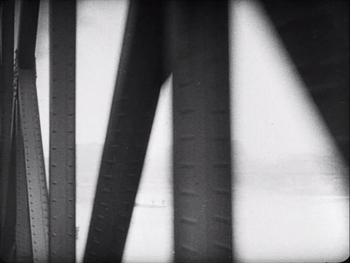 Forget High Frame Rate: This is hypnotic, immersive cinema. 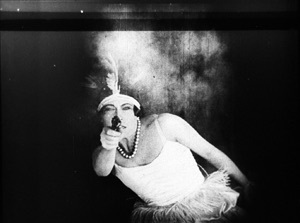 Der Gang in die Nacht will be shown in the Museum of Modern Art’s “To Save and Protect” series on 13 and 14 November. If you can get there, you should go! If not, we can hope that the film will soon appear on DVD. Remember DVDs? 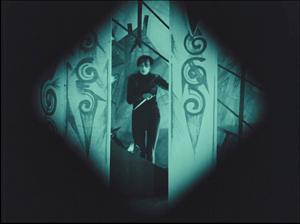 The canonized classics of Expressionist cinema, from The Cabinet of Dr. Caligari onward, are superb films, no doubt. But there are lots of other major movies from the period. 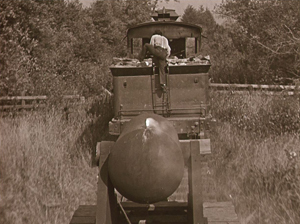 The German industry flourished during World War I, and even the postwar inflation encouraged a burst of moviemaking. 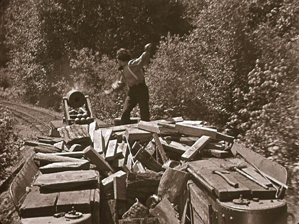 Hundreds of films were produced every year. I’m no expert, but of the seventy or so I’ve seen nearly all are fascinating and surprising. 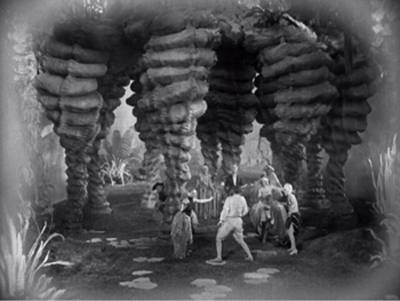 From the brute force of Der Tunnel (1915) and the demented monumentality of Homunculus (1916) to the weirdness of Algol and I.N.R.I. 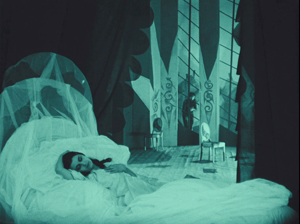 (both 1920), the peculiar pleasures of Sappho (1921) and the splendors of The Nibelungen (1924), I’ve been captivated by this cinema. 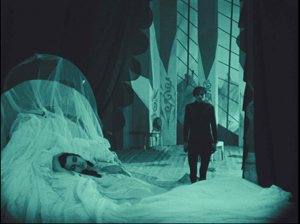 Caligari is merely the dark and spiky tip of a mighty iceberg. 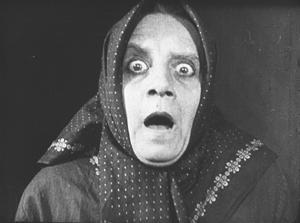 Der Gang in die Nacht is derived from a screenplay by the Danish scenarist Harriet Bloch. 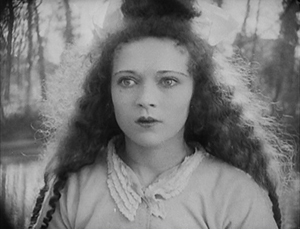 It’s an example of the “nobility film,” a genre cultivated by the Nordisk studio where Bloch worked. 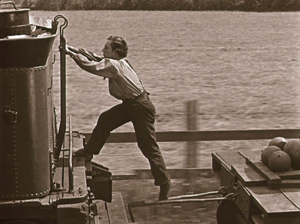 In these stories, an upper-class man becomes obsessed with a working-class woman, and she leads him to disaster. 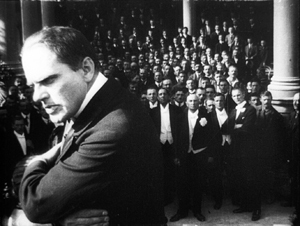 The most famous “nobility film” of the era is Dreyer’s The President (1919), when the genre was already somewhat old hat. 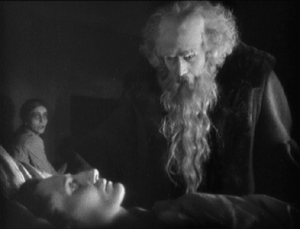 In Murnau’s film, the well-to-do protagonist is Dr. Eigil Börne. 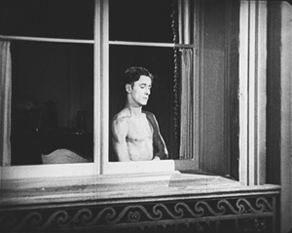 Uneasy with his courtship of his wispy fiancée Helene, he plunges into an affair with the dancer Lily. 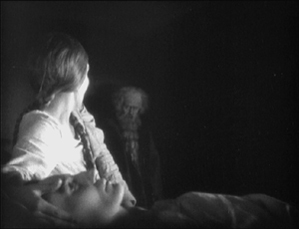 They move to a seaside cottage, where their idyll is interrupted by the spectral figure of a blind artist. (Regrettably, we never get a glimpse of his paintings.) 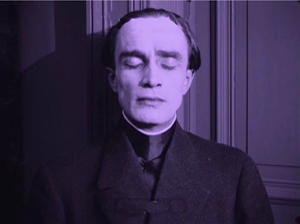 The Painter is played in nearly full Cesare mode by Conrad Veidt: drifting through the landscape and clutching at the air. 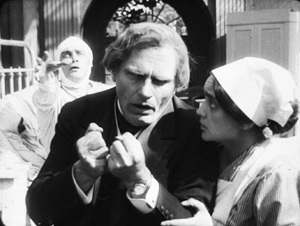 After Dr. Börne restores the Painter’s sight, Lily falls in love with him and leaves Börne. Unhappiness ensues for all, and yes, suicide is involved. With only four delineated characters, the plot’s emphasis falls on their reactions to each others’ changing feelings. 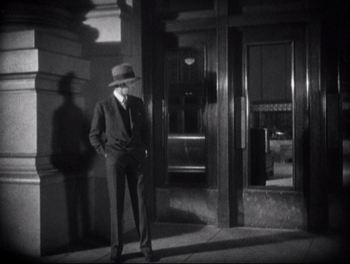 It’s a surprisingly unsensational melodrama, with no blackmail, threats of murder, or guilty secrets. It’s just about people’s emotional attachments waning, often for reasons they don’t understand. 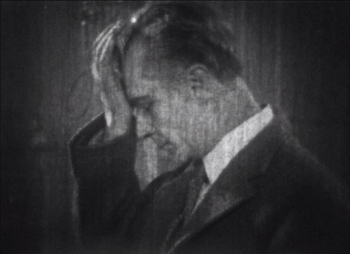 The drama of shifting, elusive moods looks fairly modern. 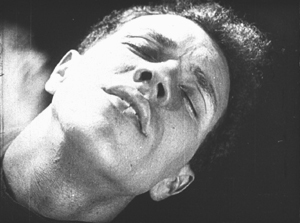 The playing is deliberate, with a range of acting styles. 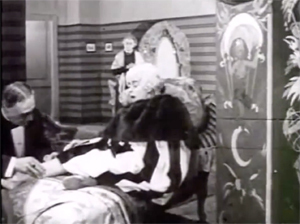 The drooping Helene, the skittish Lily, the somnambulistic Painter, and the raging Börne may seem to come in from four different movies. But Börne is on a knife-edge from the start, when he nervously leaves Helene. 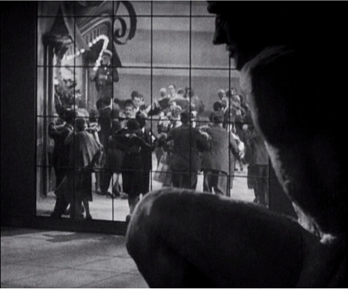 He broods fiercely during his night at the theatre, well before he succumbs to Lily’s charm. Like Scotty in Vertigo, he’s ready to fall. 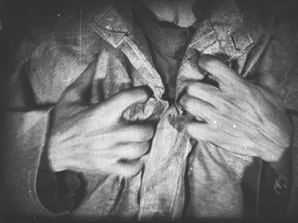 And as a complacent bourgeois, he doesn’t grasp the romantic fascination projected by the passive, wraithlike Painter. Nor is Lily merely flighty and treacherous. The Painter seems to stir her to a genuine love very different from her flirty seduction of the doctor. 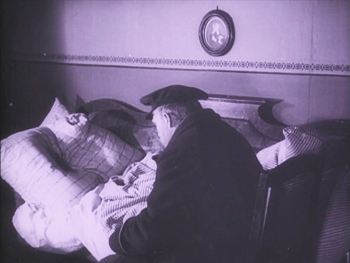 Helene, mournful throughout all this, is last seen in her sickbed stroking a newspaper photograph of Börne. 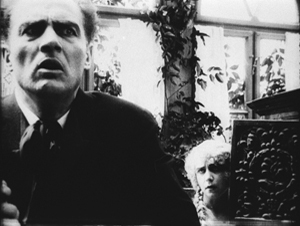 The concentration on four characters, each trembling with uncertainty, and the meshing of their moods with the stormy seaside, suggested to one observer an analogy with current stagecraft. 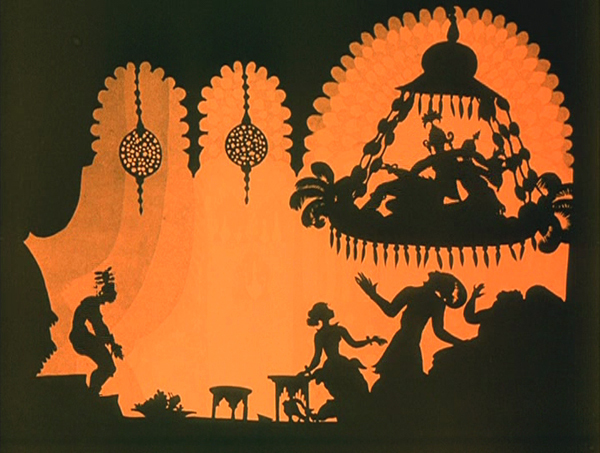 Here for the first time filmmakers try to incorporate the Kammerspiel [chamber play] into a film play. A strong, affecting plot with only a handful of characters has been developed through the smallest psychological details, the unity of locale and characters, the intimate interweaving of the atmospheric mood and the characters’ emotional life. 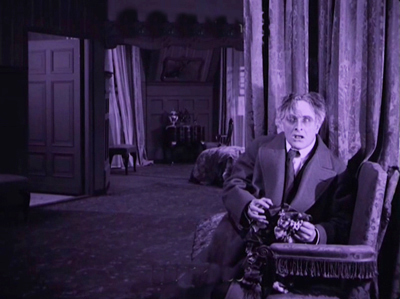 All this has been achieved with the most sophisticated use of facial expression and cinematic direction. 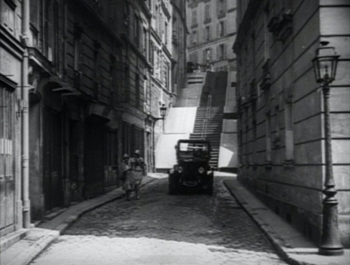 1921 is usually taken as the year that the Kammerspiel genre began, with Scherben (Shattered) and Hintertreppe (Backstairs). 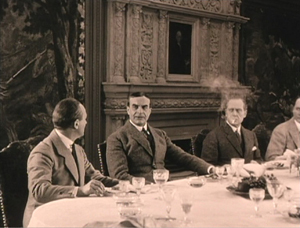 Der Gang in die Nacht, which came out before either of these, isn’t usually considered an example. 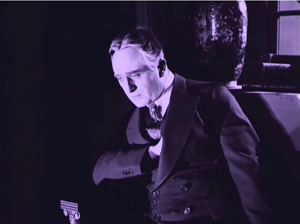 It’s interesting that the review I quoted, based on a December 1920 press screening, sees Murnau’s film as anticipating the trend. 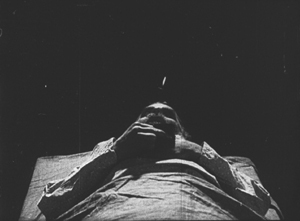 Perhaps the more rigorous concentration of time and space in the later films made critics take them for purer prototypes of the genre. 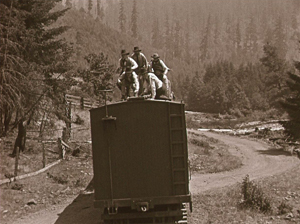 During the years 1908-1920, many filmmakers relied a “tableau” style of filmmaking. 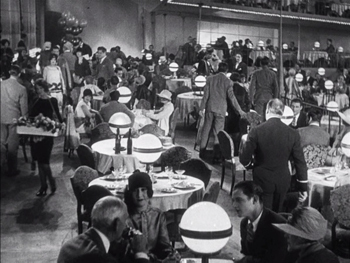 The used long shots and long takes, with the actors shifting in expressive patterns around the setting. 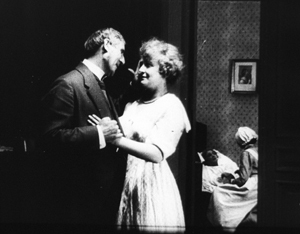 The tableau might be broken up with titles or close-ups of letters or diaries, but the drama is developed through action played out in the distant framing. 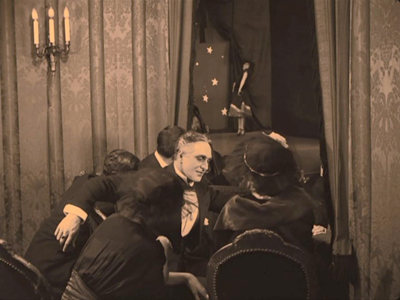 Early historians, and many still today, portray this approach as merely “theatrical.” In fact, because of the way the camera lens creates a pyramidal playing space (the tip resting on the lens), the tableau approach is very different from proscenium theatre, which has a wide, lateral playing space. 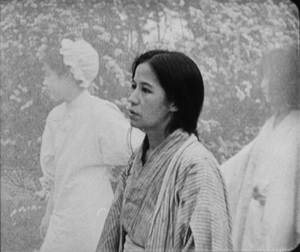 The result is a choreography of figure movement in breadth and depth that is no less “cinematic”—that is, specific to the film medium—than editing. Want clarification? There’s a video lecture here, and more discussion in these entries. 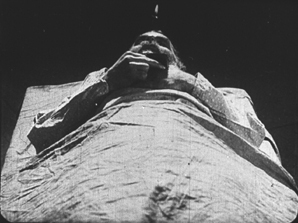 In the course of the 1910s, however, filmmakers started to alter this approach. 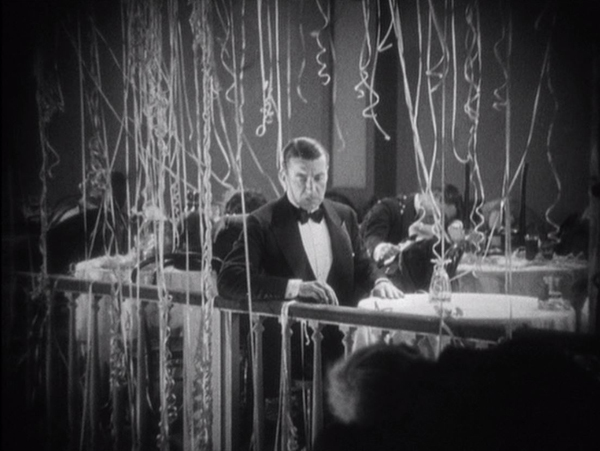 For one thing, they started to cut up the tableau more. 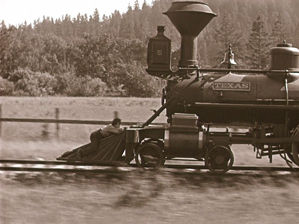 American filmmakers were most radical, often abandoning the long shot altogether and building scenes out of several partial views—medium-shots and close-ups. 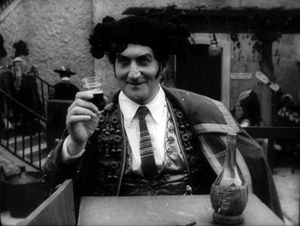 But most European filmmakers were more conservative. 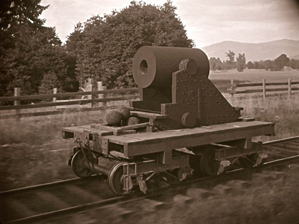 They began to use what researchers have come to call the scene-insert method. 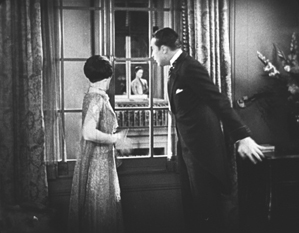 The tableau (the “scene”) would be interrupted by one or two closer views of a face or gesture, before returning to the main framing. 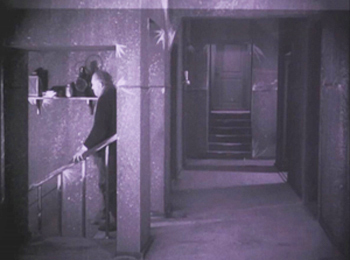 Almost always the inserted shot is taken from the same camera position as the long shot. 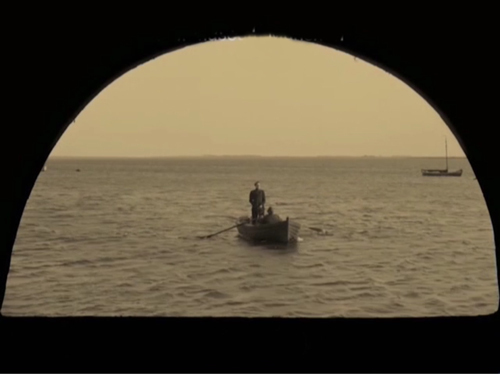 The cut is “axial,” along the lens axis of the camera. It enlarges a slice of space given in the wider view, then usually cuts back along the axis to reestablish the tableau. 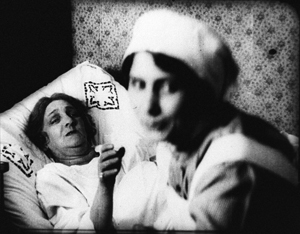 Here’s a simple example from Joe May’s delightful serial Die Herrin der Welt (Mistress of the World, 1919-1920), when a nurse in the room in the background rises. 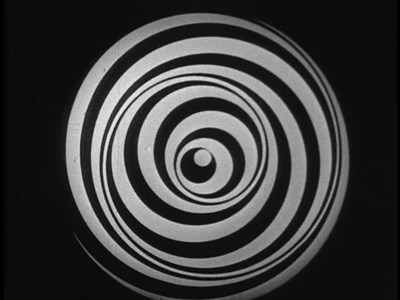 The axial approach is used throughout Caligari too. When Cesare invades Jane’s bedroom, we cut straight in and then cut back as he approaches. 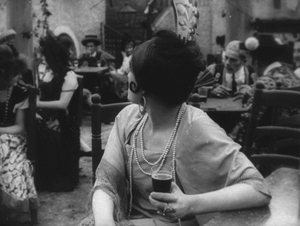 In Kristin’s book Herr Lubitsch Goes to Hollywood (available as a pdf) she traces several instances in other German films, as in this passage from Carmen (1919), with Don José way back at the rear of the tavern–but still on the lens axis. Der Gang follows the scene-insert method often. 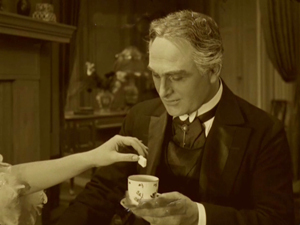 The only closer view during Lily’s tea flirtation with Börne emphasizes her teasing gesture and his reaction. The result is a minimal version of analytical editing, a sort of rough, proto-continuity approach to breaking up a scene into details. 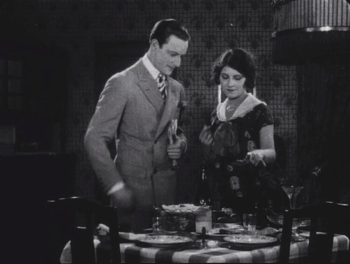 It can be thought of as a transitional phase toward a fully “classical” style of staging and cutting, and indeed in the 1920s more and more European filmmakers adopt versions of the Hollywood method. 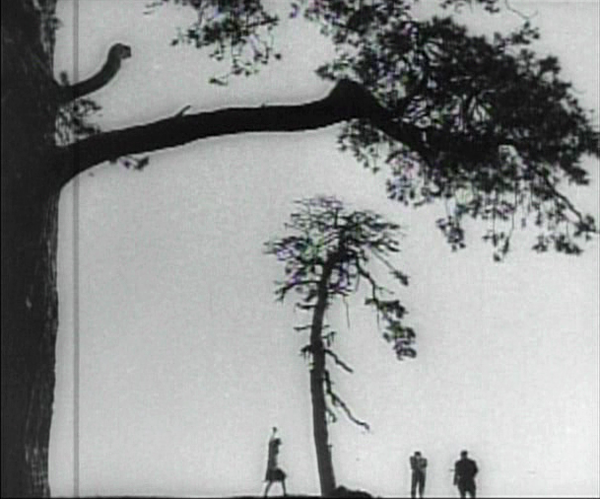 Already, we can see some filmmakers thinking in terms of an establishing shot rather than a tableau. 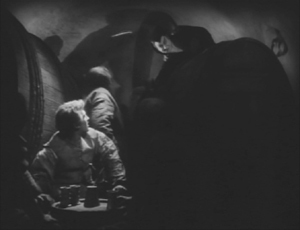 Murnau’s long shot below is probably too far distant to permit a complex play of depth of the sort we see in Caligari and Carmen. It’s designed, we might say, to be cut into. 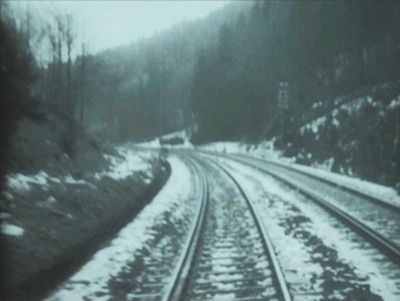 During this transitional period, we find films exploring the scene-insert method in intriguing ways. 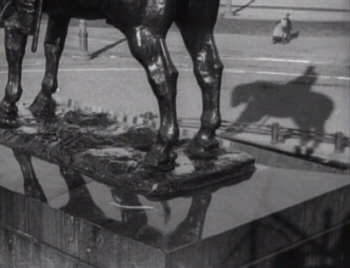 The most evident is the tendency to make the cut-in shot very close. 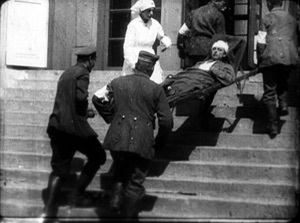 In Paul Leni’s Dr. Hart’s Diary (Das Tagebuch des Dr. Hart, 1918), for instance, we get a rather distant shot showing the wounded Count Bronislaw carried out of the ambulance, followed by a very tight medium-close-up of him and Jadwiga, the Red Cross nurse. 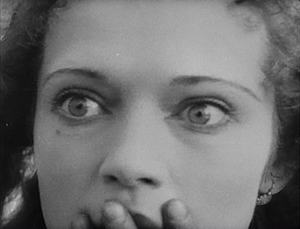 An American director would have been more likely to soften this sudden enlargement with a mid-range two-shot of the couple before providing the intense close-up of their faces. 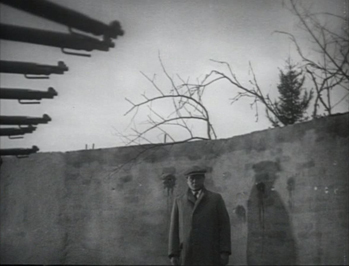 This abrupt jump into a surprisingly close view isn’t uncommon in European cinema of the period, and it’s particularly salient in German films. The insert is often taken with a wide-angle lens, which can accentuate the curves and edges of a face. 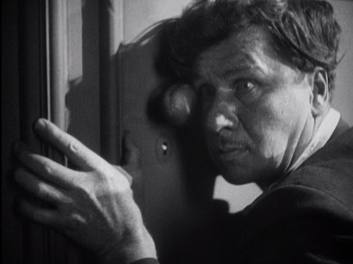 Murnau’s fondness for the wide-angle lens is a constant throughout his career. 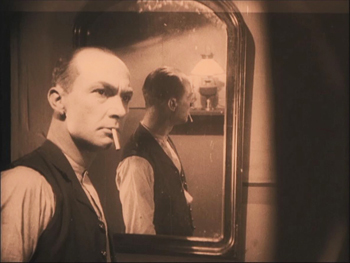 A fragment from his first, lost film The Blue Boy shows a wide-angle depth composition, and there’s an astonishing wide-angle close-up of the distraught painter in Der Gang. 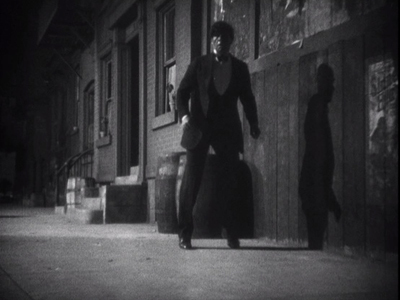 Like many directors working in this line, Murnau balances the power of the sustained long shot with the momentary spike of the closer view. A good example comes in the beautiful passage when Börne discovers that Lily is dead. 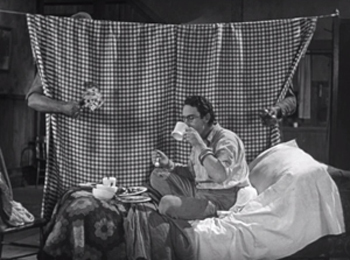 The setup is given in a classic tableau framing, with only her arm extending out from cushions on the divan. Then the Painter’s head lifts into center frame from behind the pillows, a slow revelation of his pain. After alternating cuts to Börne hammering at the door, the Painter rises and floats to the door in the back wall. (The rear door is a fixture of the tableau tradition, as it allows for dynamic movement in depth within the visual pyramid.) 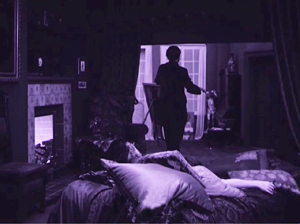 Once the doctor is admitted, he rushes forward and pauses as the Painter glides into the background. 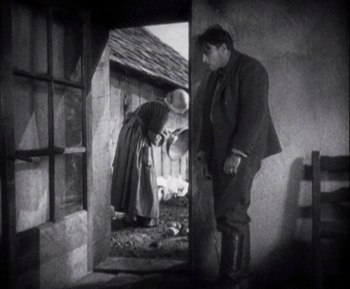 As Börne wails, Murnau pushes us into the parlor to the Painter, standing in the distant corner like an upright corpse—an alternative version of grief. 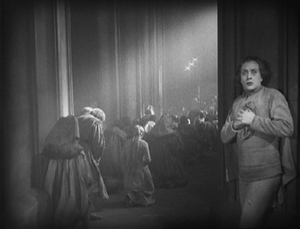 Like many films of the period, not only German but also French and Italian ones, Der Gang in die Nacht exploits the resources of the tableau—the graceful, expressive coordination of actors who perform with their whole bodies—while saving the blunt force of the isolated face for a climactic accent. 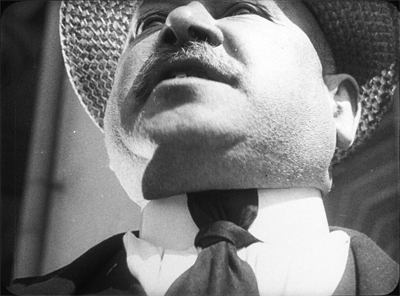 No wonder that film theorists of the late ‘teens and early 1920s were fascinated by close-ups; they were seeing a great many vivid ones. There were a lot of variants on these techniques. 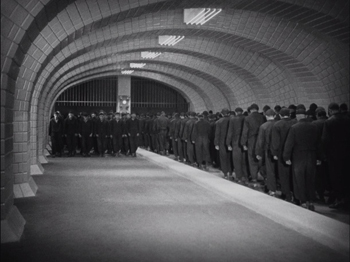 As if to give us the tableau and the wide-angle insert in a single frame, Robert Reinert cultivated a looming deep-focus style that suggests a Citizen Kane of the 1910s. 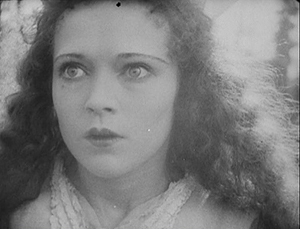 The first frame is from Opium, the last two from Nerven (both 1919). 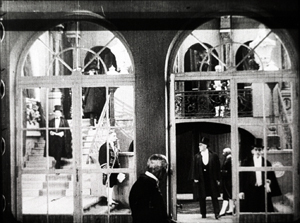 And the extraordinary Weisse Pfau (The White Peacock, 1920) of E. A, Dupont comfortably switches from a dizzying gridded tableau (two men arriving at a theatre lobby, caught in an architectural Advent calendar) to a violent climax using highly fragmented editing. 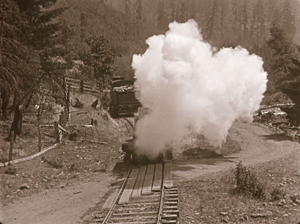 By 1921 the simplest version of the tableau-plus-insert method was rapidly going out of favor. 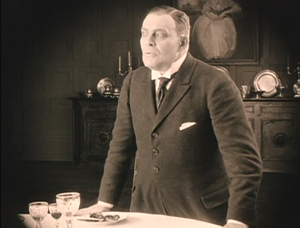 To get a sense of how techniques were changing at the time, you should watch Murnau’s Schloss Vogelöd (1921) immediately after seeing Der Gang in die Nacht. The plot is a bit friendlier to our pulpy tastes, involving a past murder that is brought to light during a country house party. (No spooks haunt the castle, just the lingering effects of mysterious death.) 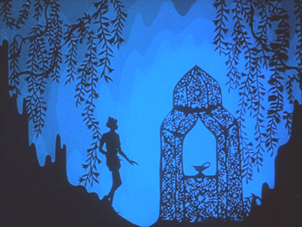 Again, there’s a chamber-play aspect to it. 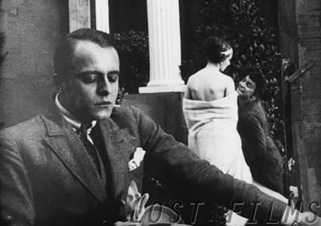 Virtually all the action is confined to the mansion of the host, von Vogelschrey, and plays out in a couple of days and nights. 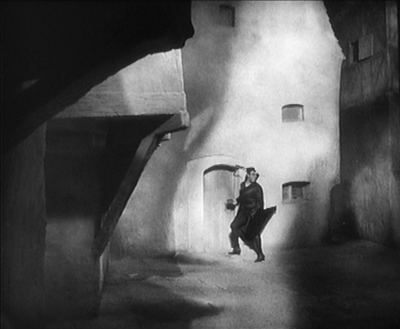 Schloss Vogelöd was released only three months after Der Gang in die Nacht. 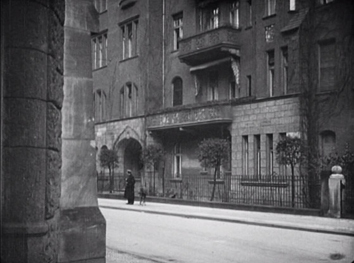 In the sparkling restoration provided by the Murnau Stiftung, Schloss runs almost exactly as long as the earlier film. But what a difference! I count 231 shots in Der Gang, with 163 of those being images, not titles. I count 511 shots in Schloss, with 356 of those being images. 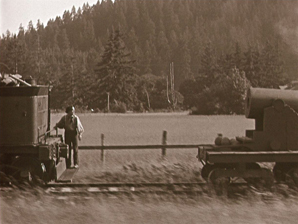 Assuming a common projection speed, the later film is cut over twice as fast. 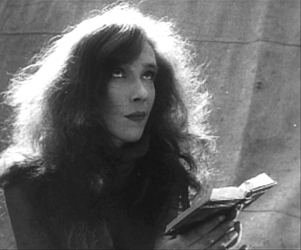 The sheer number of shots is important, but the crucial factor is that many of the shots in Der Gang retain one particular framing, interrupted by titles or a diary or letter insert. Not only does Schloss have more shots, it has more varied setups. 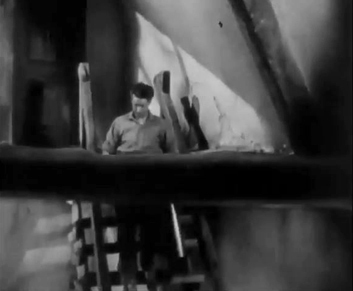 Murnau is shifting his camera positions more often, as were his peers Lang and Dupont, along with other Europeans and of course the Americans. Here’s an example. 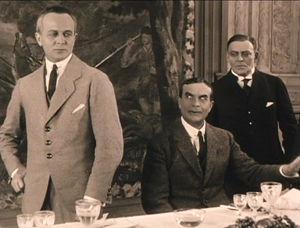 At a meal, the vengeful Count Oetsch hints that Baron Safferstädt is the murderer. 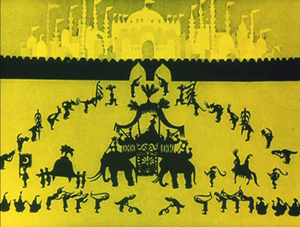 The scene runs about three minutes and contains 16 shots and five titles, played out across six distinct setups. I sample them here. In a loose sense, the cuts are axial, enlarging or de-enlarging parts of the table as observed from one general orientation. 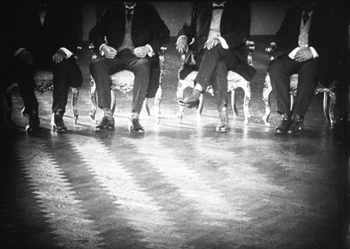 (The judge who stands up and looks left is at the foot of the table.) 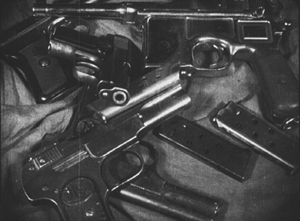 But within this overall orientation, there’s a variety of setups we don’t find in Der Gang. 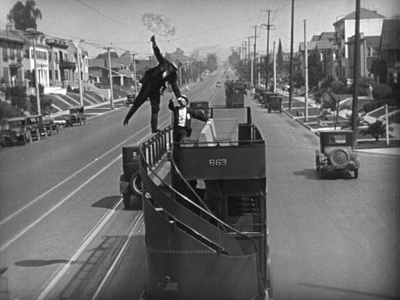 We aren’t far from that spatial ubiquity and adherence to an axis of action that was pioneered in 1910s Hollywood and would become increasingly common in Europe during the 1920s. 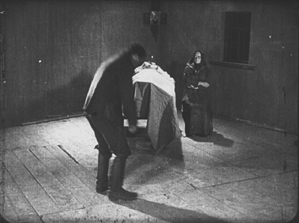 The downside: The development of more finely broken-down scenes led to a loss of the complex choreography within a single shot that was common in the early 1910s. 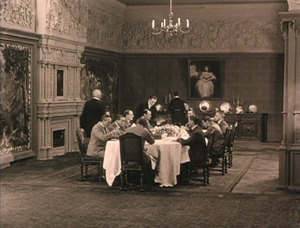 Der Gang in die Nacht was filmed in August-September of 1920; Schloss Vogelöd was shot in February and March of 1921. 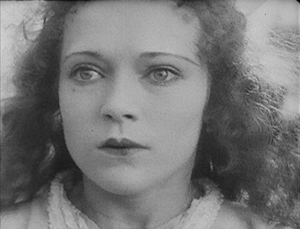 In between Murnau made Marizza, genannt die Schmuggler Madonna (Marizza, called the Smuggler’s Madonna, not shown until 1922). 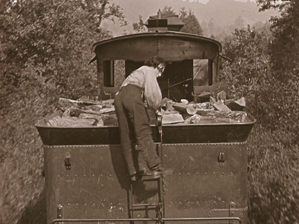 The fragments of this that have survived are very rudimentary filmmaking, much simpler than anything in either of the other two films. 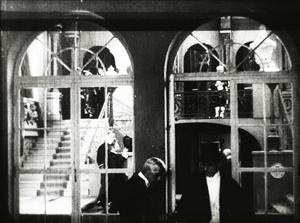 The faster cutting and more varied setups of Schloss may, as Kristin has suggested, owe something to the arrival of American films. 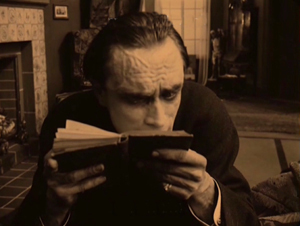 Banned until January 1921, they may have inspired German directors to push further toward analytical editing. 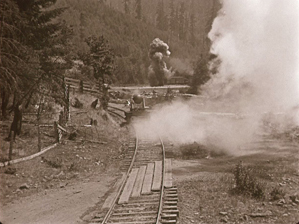 She has also mentioned in Exporting Entertainment that some American films did slip through the ban and get screened during the war years, so directors could have had an inkling of what Hollywood was up to. 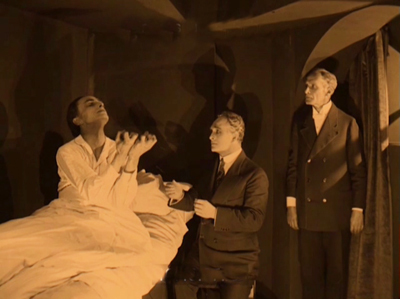 In any event, Der Gang in die Nacht admirably lays out one set of directorial options that emerged as filmmakers of the first “movie generation” (Murnau, Dreyer, Gance, Lang, Dupont et al.) shifted away from the pure tableau style. 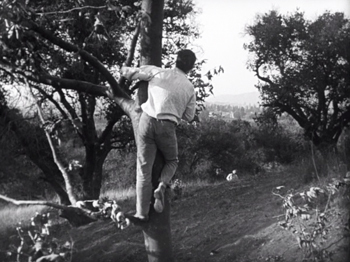 All became virtuosos of editing, but they never forgot the power of the sustained long take. 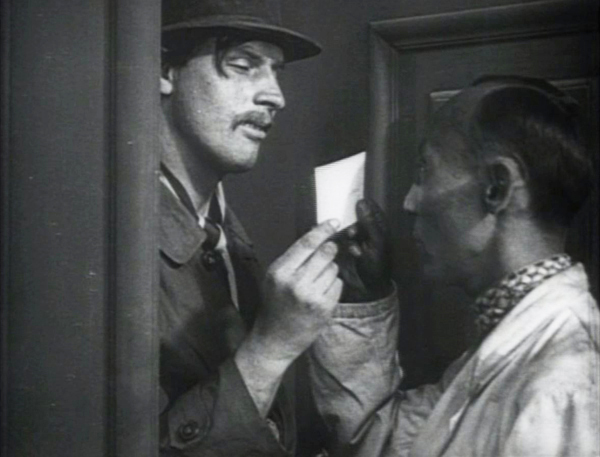 Thanks to Stefan Drössler of the Munich Filmmuseum for information on the restored Der Gang in die Nacht. Thanks as well to Sabine Gross for her translation of German material. 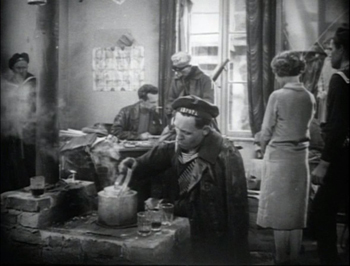 As ever, I owe an enormous debt to Gabrielle Claes and Nicola Mazzanti of the Cinematek in Brussels. 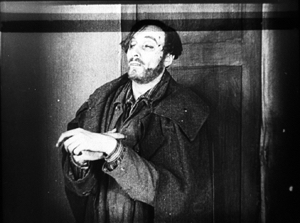 The review citing Der Gang as a Kammerspielfilm is reprinted in Film-Kurier (30 December 1920), 2. 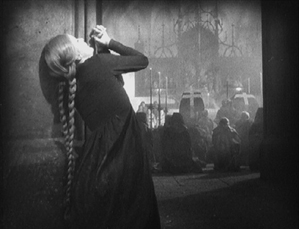 I was led to this by Lotte Eisner’s Murnau (University of California Press, 1964), 92. Although it’s long been out of print, her book remains a very useful source. 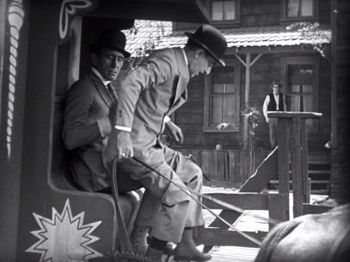 Also helpful are Los Proverbios chinos de F. W. Murnau, vol. 1, ed. 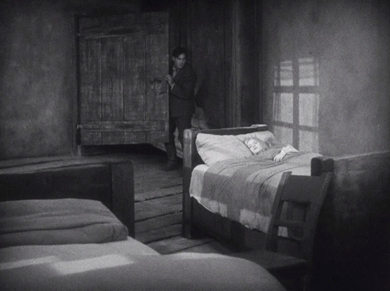 Luciano Berriatúa (Filmoteca Española, 1990) and Friedrich Wilhelm Murnau: Ein Melancholiker des Films, ed. 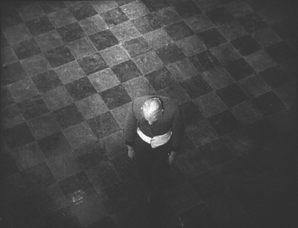 Hans Helmut Prinzler (Deutsche Kinemathek, 2003). 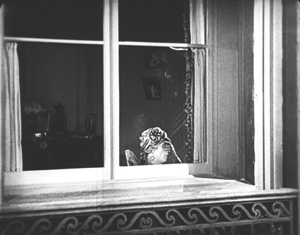 Schloss Vogelöd is available on two DVD editions, one from Kino and the other from Masters of Cinema. 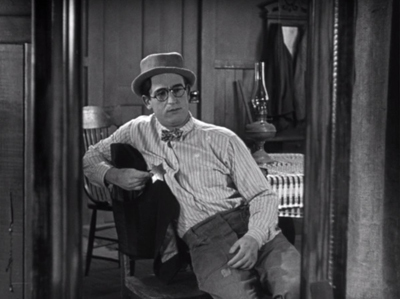 My frames come from the Kino edition, chiefly because they’re brighter than the higher-contrast MoC edition, and thus more legible on the Net. Both editions have their strong points, as DVDBeaver indicates. 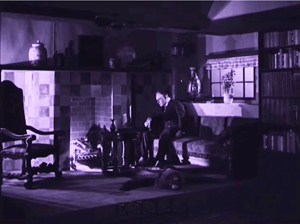 Surviving frames of Murnau’s first film are available on the Lost Films website. 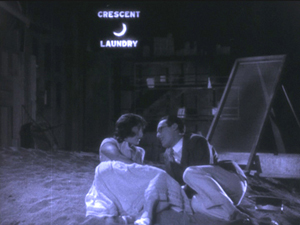 Many issues of tableau style and its relation to editing technique are discussed in my On the History of Film Style, Figures Traced in Light: On Cinematic Staging, and Poetics of Cinema. 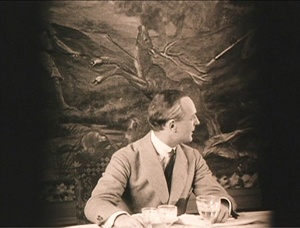 On this site, among entries on the tableau tradition, the entry most relevant to today’s piece is “Not quite lost shadows.” I discuss Danish approaches to the tableau in the essay “Nordisk and the Tableau Aesthetic” and the case of Dreyer’s relation to his peers in “The Dreyer Generation,” on the Danish Film Institute website. 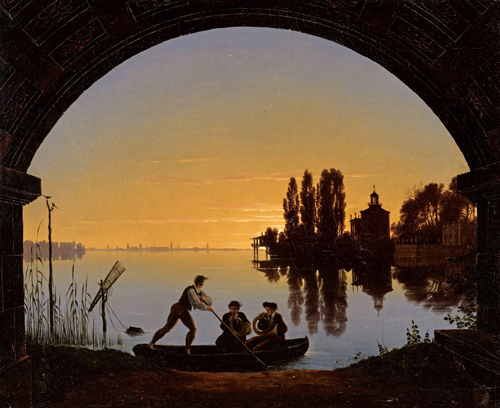 Karl Friedrich Schinkel, The Banks of the Spree Near Stralau (1817).